I spend most of my free time hanging out in Berkeley for its large selection of bakeries, coffee shops, and restaurants. A few years ago, I noticed a few shops popping up on Stockton Avenue in El Cerrito. I didn't think they would last. I thought there simply wouldn't be enough foot traffic to support the business. A few days ago I got a coupon for a small cup of coffee at Well Grounded Tea & Coffee Bar on Stockton Avenue, one of the shops that I saw a few years ago. I normally walk Kelsey just a block short from Stockton, so I thought I'd walk over and check out the shop while getting a free small cup of coffee. This morning I went in the small coffee shop for the first time at 8:30 a.m. To my surprise, it was full of patrons, and there were 3 friendly staff behind the counter taking people's orders. The coffee was surprisingly good and strong. The customers were all friendly and asked me about the very well behaved dog, Kelsey, who was tied to a tree outside of the shop. While I enjoyed my coffee, I walked across the street to check out other shops. They are Hibiscus Boutique Spa and The Glenn Custom Framing among a few others. 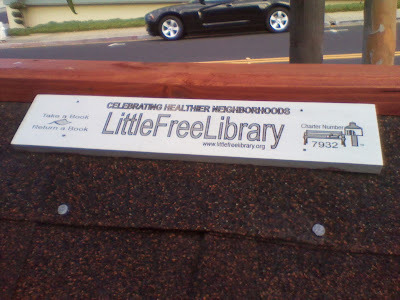 Outside of the framing shop, there is a little cute free library full of books. I couldn't resist not to take The Dog Park Club by Cynthia Robinson. I read its introduction, and the story takes place in Berkeley. 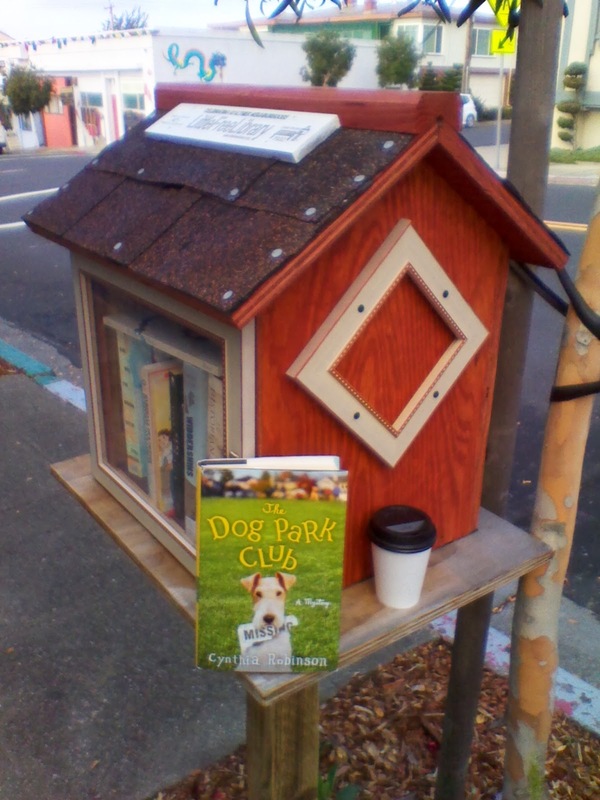 I can't wait to read a mystery novel that's about a dog park and takes place right in my neighborhood!